Connect’s bandwidth graphs now contains a breakdown of bandwidth usage by IP address, giving you more a granular insight into your bandwidth usage. Not only can you see the bandwidth breakdown by IP, Connect now also has an application breakdown by IP address. You can dig deeper into the existing applications pie chart and view a breakdown of the usage by IP address. You can now easily access all details about services you receive as well as instructions for usage, set up and support in a single page within Connect. The ‘Export Service Guide’ page now displays the service guide on the page along with an option to download it as a pdf. Connect now allows you to choose whether to send an invitation to your members when adding them to Connect. You can see this option on the 'Add User' page. You can also view whether the users added have been invited to sign up to Connect on the ‘User Manager’ page. You can now log users in and out of handsets remotely from inside Connect. 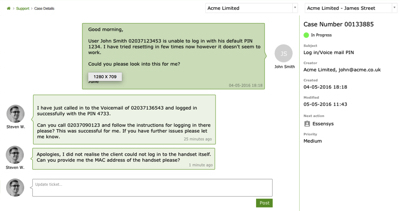 Read the Knowledge Base article to find out how to see which numbers are already logged in, and see how you can log in and out of handsets from from within Telephone Manager. It's now easier to reset locked PINs. 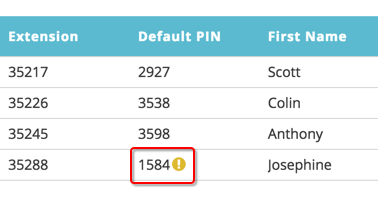 Numbers that have been locked are indicated in Telephone Manager, and can be reset back to the default PIN by selecting the locked icon. We have changed the name JEFF to Connect. You will notice some branding changes on the Log In page and around the site, but all of your features are unchanged. Connect will benefit from a seamless navigation and tight integration between modules, allowing for enhanced functionality development. Enhanced Call Reports are now available for a limited time as a free trial on JEFF. These reports provide an advanced overview of all of your team’s calls, and are especially useful if your company has a focus on customer support or sales. You can see a summary of all of your team’s calls, and use the information to assess the performance of individual members of your company. You are able to view details of your own calls and, for Admins, all calls from the phones within your company. Today you may notice some changes to the interface of JEFF as we make some design changes. Last month we updated our corporate colour palette from essensys green to essensys blue. We felt green had served us well and was in need of a refresh. In order to align JEFF with our new brand identity you'll notice a shift from our traditional green colours to a blue palette. If your Site Managers have applied their own branding to JEFF, this will still apply and the colours won't change for you. There are a few small navigations changes as well and the main menu has moved to the top of the screen. 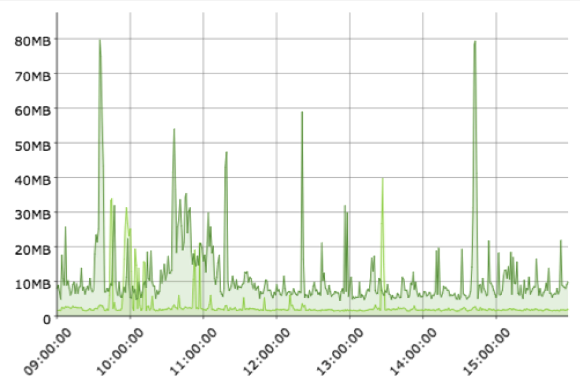 After a successful BETA, the new Bandwidth Graphs are now fully released. These are now your default view. See the video below to find out more about the new graphs. View the Bandwidth Graph BETA available now on JEFF to see enhanced graphs which will give greater insight into your bandwidth usage. You can now find users, cases, and phone numbers easily from anywhere within JEFF using the new Smart Search feature. 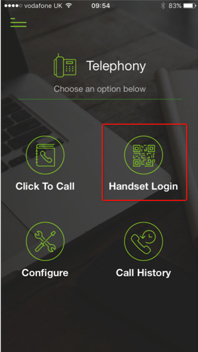 Logging into your handset is now easier with the new QR log in feature. Simply log in to your Connect app, scan the code on your hand set, and you will be logged in automatically. No PIN required! See here for more details. You can now manage inbound calls using JEFF's automated interactive voice response (IVR) service. IVRs are an easy way to direct incoming callers to the right departments. By leading callers through automated messages, and receiving input from their handset, calls can be directed to a particular extension, sent to voicemail, or you can give the user the option to hear a message again. We've made it easier for you to view and keep track of cases. The new Case Details view shows the details of your case alongside your conversation, so it is now easier to see how your issue is progressing. Manage the display of your number on outbound calls using your JEFF app. 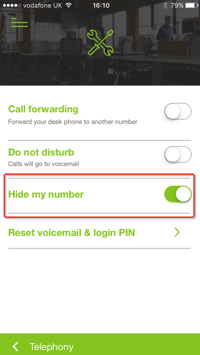 Select 'Hide my number' in the Configuration menu to choose whether to display or hide your number. See more tips for using the app here. Our shiny new Android app is now available for download. You can manage call forwards, click to call from contacts and check call history in our Android app. Download it from the Google Play store here. Bandwidth graphs now show more granular data across a longer time frame. For example, a weekly and monthly graphs now provide a much better understanding of how client bandwidth is being consumed. You can now manage Conferencing directly through JEFF. 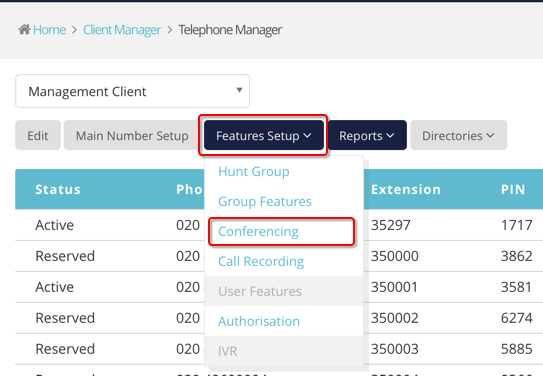 Telephone Manager has an area where you can set up and edit conference groups and view information including bridge number, conference ID and conference PIN. Click here for more information on conferencing.